Is there a better alternative to sunShield Pro? Is sunShield Pro really the best app in System category? Will sunShield Pro work good on macOS 10.13.4? 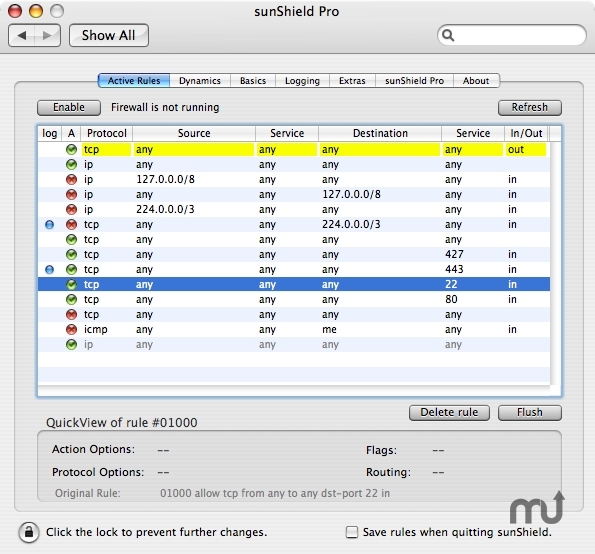 sunShield Pro is a preference pane that manages the built-in firewall in OS X. While sunShield is undergoing massive changes for Leopard full integration, this is an interim release that fixes bug introduced with Leopard's build 9a581. The bug is not in Mac OS X 10.5, but in the way sunShield Pro tries to read some system data. sunShield Pro needs a rating. Be the first to rate this app and get the discussion started!